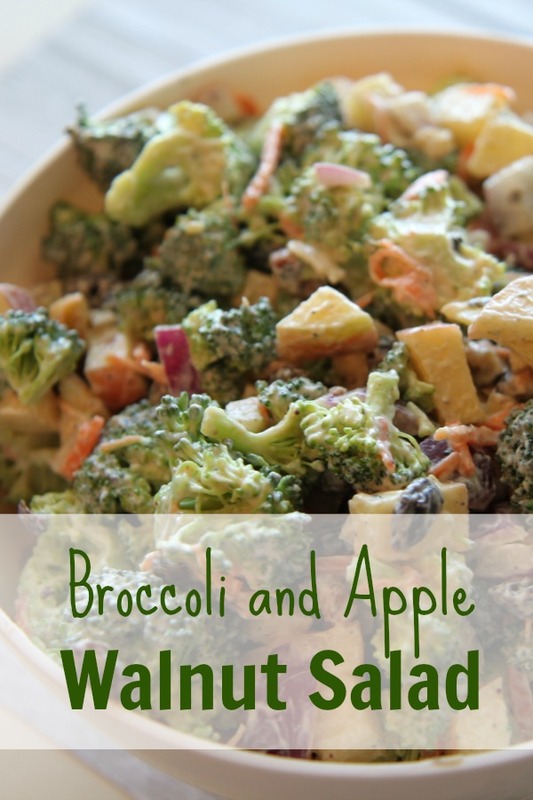 Combine broccoli, carrot, apple, onion, walnut, and raisins. Combine mayonnaise, sour cream, lemon juice, sugar, sea salt, and pepper until mixed well. Mix dressing with the salad and serve immediately.